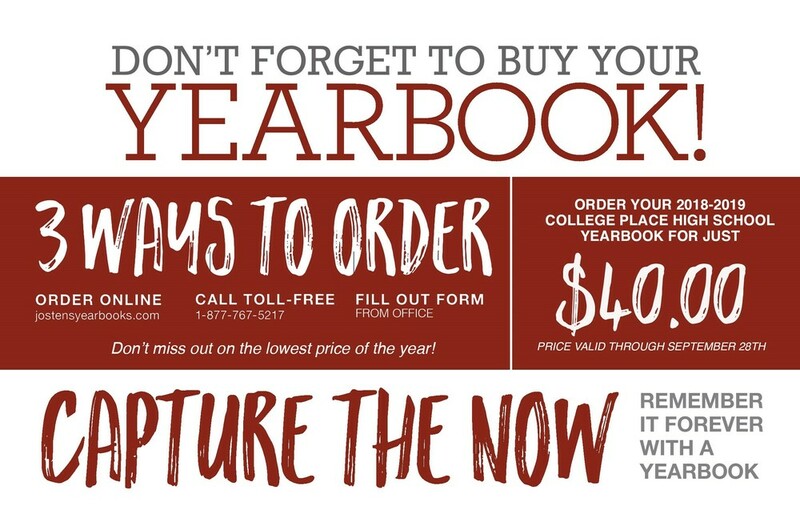 Get your yearbook for the lowest price of the year! Announcing our 2018-2019 The Talon Yearbook is being offered at the lowest price of the year. Get yours before September 28 for just $40. Price goes up after September 28 so get yours TODAY! Your Talon Staff will be working diligently to capture your memories and tell the story of 2018-2019 in this year's edition of the Talon yearbook. What is the story of CPHS for 2018-2019? Hawks, you get to write that story. Pick yours up in the office or buy online. Get your 2018-2019 The Talon yearbook HERE!